A long break from blogging, thanks to exams. But here I am! Just hours after my exams ended, we headed to Goa. Yes, Goa. Yes, again. 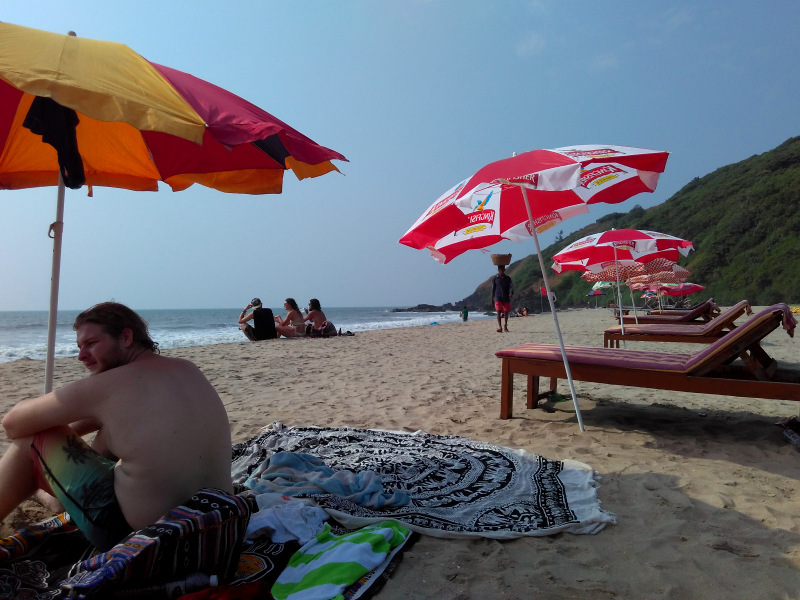 Yes, I tell everyone that Goa is a clichéd tourist destination and that we should head to other beach holidays. And there I went, to Goa. Again! This time around we decided to go to the northernmost tip, where the Goan beaches start. Arambol. Arambol has been a hippie’s paradise from days of yore. It still is predominantly a doper’s den; but it gets its fare share of regular tourists these days. We went there because we just didn’t want the hullabaloo of the popular North Goan beaches and sought some peace and quiet (to rest my brains after an awful string of exams). I can safely say this has been one of the better Goan vacations. That included, doing absolutely nothing for the most part of the day, playing in the waves, watching sunsets, and drinking till 4am in the morning. Arambol also has a sweet surprise, called the Sweet Water Lake, a naturally formed lake near the beach. The water may be full or not, depending on weather conditions. The first day we went, the water was good enough to drown one; the second day, you could walk to the middle of the lake. Beach beds are available around the lake and if you don’t fancy a dip, you can chill at the lakeside, mountains surrounding the lake ahead of you and the beach at your back. It is quite a different Goan experience. During our stay at Lotus Sutra, we even had the pleasure of listening to “Indian” live music played by a British baba and his pretty hippie fangirl. At nights, someone would pick a guitar and start strumming. 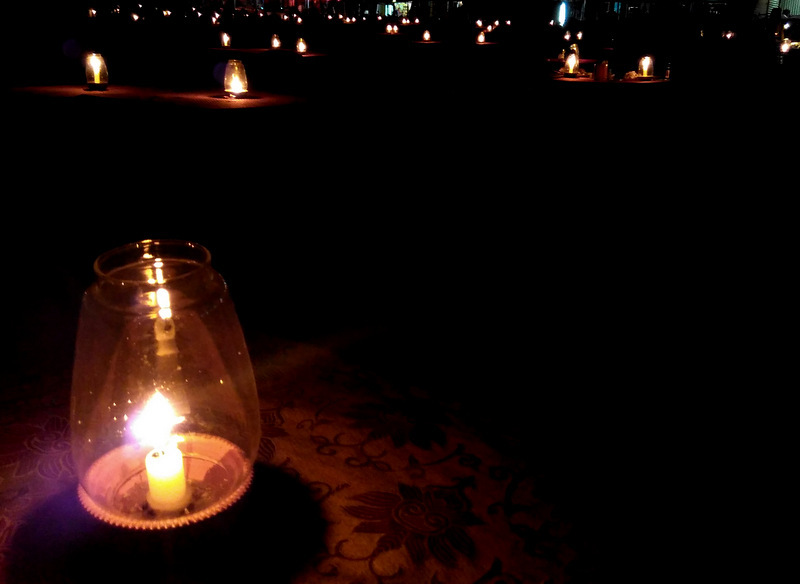 There were fireworks at the beach, candlelit dinners and wishing lanterns… It made a very pretty picture at night. In the morning, you would see people meditating or doing yoga or just walking their dogs. You might even meet an artist from Finland who made friends with another artist from Germany and both of them are painting in your balcony! Arambol is just lovely. Awesomely beautiful and free in its ways. I loved it! Now that we visited the northernmost tip of Goa, we are planning to visit the southernmost tip next month. I shall share our experiences soon.